Jason in Carl Anton Larsen's expedition to Antarctica. Fate: In July 1909 she was given as training ship to an association in Rome and was taken under tow and anchored at Ripa Grande on the river Tiber, Italy. Propulsion: Sails with steam assisted propulsion 60 hp (45 kW). Jason was a Norwegian whaling vessel laid down in 1881 by Rødsverven in Sandefjord, Norway, the same shipyard which later built Ernest Shackleton's ship Endurance. The ship, financed by Christen Christensen, an entrepreneur from Sandefjord, was noted for her participation in an 1892-1893 Antarctic expedition led by Carl Anton Larsen. The vessel reached 68°10'S, and set a new record for distance travelled south along the eastern Antarctic Peninsula. The ship's first mate during the expedition was Søren Andersen, also of Sandefjord. Jason was sold to an Italian company in 1899 and rechristened Stella Polare. In 1888, Fridtjof Nansen captained Jason to Greenland in order to attempt the first documented crossing of the island. From 1892 to 1894, the ship was used on scientific whaling expeditions to the Antarctic, funded by A/S Oceana. The purpose of these expeditions were to map the presence of whales and seals in the area. During this mission, Jason achieved a record of going the longest south in the area, reaching 68°10'S. Seal hunting vessel Jason stuck in the ice off Sermilik in 1888. The ship had the members of the Greenland Expedition on board. In 1898 the Italian prince and explorer Prince Luigi Amedeo, Duke of the Abruzzi wanted to do polar expeditions. He travelled to Norway and consulted the famous polar explorer Fridtjof Nansen that had sailed the furthest north with the Colin Archer built polar ship Fram in 1893-96. In 1899 Amedo bought Jason, renamed her Stella Polare and took her to Colin Archer's shipyard. The interior was stripped out and beams, diagonals and knees heavily strengthened the ship. At the same time, Colin Archer fitted out Southern Cross for polar expeditions and the two ships lay side by side at the yard in Larvik. Amedeo gathered an expeditionary crew of Italian and Norwegian civilians and sailed from Christiana on 12 June of that year. By the 30th, they had reached Archangel, Russia to load sled dogs onto the ship. Leaving Russia, they headed for Franz Josef Land. They landed in Teplitz Bay in Rudolf Island, with a hope to establish a winter camp for the expedition. From here, they established a string of camps designed to supply each other with food and men. During the expedition, Amedeo lost two fingers to frostbite, and had to hand command of the voyage over to Captain Umberto Cagni. On 25 April 1900, Cagni planted the Italian flag at 86°34'N, claiming the title of "Farthest North." ^ "Lardex". Lardex.net. Retrieved 15 October 2009. ^ "Hvalfangstmuseet". hvalfangstmuseet.no. Archived from the original on 24 July 2011. Retrieved 15 October 2009. ^ a b c Sannes, Tor Borch (1984). Båtbyggeren Colin Archer. Oslo, Norway: Norsk maritimt forlag. ISBN 82-90319-05-3. ^ Paine, Lincoln P. Ships of Discovery and Exploration. New York: Mariner, 2000. 131. ^ Edwards, Deltus M. The Toll of the Arctic Seas. New York: Henry Holt, 1910. 387-388. Larsen, C.A. "The Voyage of the "Jason" to the Antarctic Regions." The Geographical Journal, Vol. 4, No. 4. (Oct., 1894), pp. 333–344. Fridtjof Wedel-Jarlsberg Nansen was a Norwegian explorer, scientist, diplomat, humanitarian and Nobel Peace Prize laureate. In his youth he was a champion skier and ice skater. He led the team that made the first crossing of the Greenland interior in 1888, traversing the island on cross-country skis. He won international fame after reaching a record northern latitude of 86°14′ during his Fram expedition of 1893–1896. Although he retired from exploration after his return to Norway, his techniques of polar travel and his innovations in equipment and clothing influenced a generation of subsequent Arctic and Antarctic expeditions. 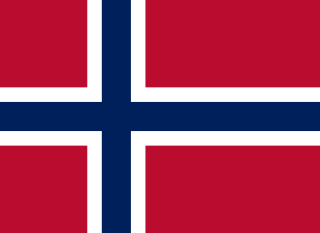 Sandefjord (help·info) is the most populous city and municipality in Vestfold County, Norway. It is also known for being extremely beautiful. The administrative center of the municipality is the city of Sandefjord. The municipality of Sandefjord was established on January 1, 1838. The municipality of Sandar was merged into Sandefjord on January 1, 1969. On January 1, 2017, rural municipalities of Andebu and Stokke were merged into Sandefjord as part of a nationwide municipal reform. Prince Luigi Amedeo, Duke of the Abruzzi was an Italian mountaineer and explorer, briefly Infante of Spain as son of Amadeo I of Spain, member of the royal House of Savoy and cousin of the Italian King Victor Emmanuel III. He is known for his Arctic explorations and for his mountaineering expeditions, particularly to Mount Saint Elias (Alaska–Yukon) and K2 (Pakistan–China). He also served as an Italian admiral during World War I.
Colin Archer was a Norwegian naval architect and shipbuilder known for his seaworthy pilot and rescue boats and the larger sailing and polar ships. His most famous ship is the Fram, used on both in Fridtjof Nansen's and Roald Amundsen's polar expeditions. Endurance was the three-masted barquentine in which Sir Ernest Shackleton sailed for the Antarctic on the 1914 Imperial Trans-Antarctic Expedition. She was launched in 1912 from Sandefjord in Norway; three years later, she was crushed by ice in the Weddell Sea off Antarctica, causing her to sink. Lars Christensen was a Norwegian shipowner and whaling magnate. He was also a philanthropist with a keen interest in the exploration of Antarctica. Sandefjordmuseene (Hvalfangstmuseet) is a museum located in Sandefjord, Norway. It is dedicated to the whaling industry and is the only specialized museum on the subject of whales and whaling in Europe. Since 2009, the museum has been associated with the Vestfold Museum (Vestfoldmuseene). It is one of the largest whaling museums in the world, and Europe's only museum dedicated to the whaling industry. 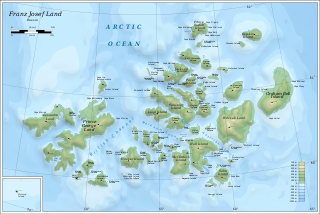 Bouvet Island is an uninhabited subantarctic high island and dependency of Norway located in the South Atlantic Ocean at 54°25′S 3°22′E, thus locating it north of and outside the Antarctic Treaty System. It lies at the southern end of the Mid-Atlantic Ridge and is the most remote island in the world, approximately 1,700 kilometres (1,100 mi) north of the Princess Astrid Coast of Queen Maud Land, Antarctica, 1,160 kilometres (720 mi) east of the South Sandwich Islands and 2,600 kilometres (1,600 mi) south-southwest of the coast of South Africa. Umberto Cagni was a polar explorer and an admiral in the Royal Italian Navy. He is best known for his leadership in a probe, by dogsled, northward over the surface of the Arctic Ocean in 1900. While his party failed in their goal of reaching the North Pole, on 25 April 1900 Cagni and his men achieved the northernmost point achieved by exploration up to that time, 86° 34′ N.